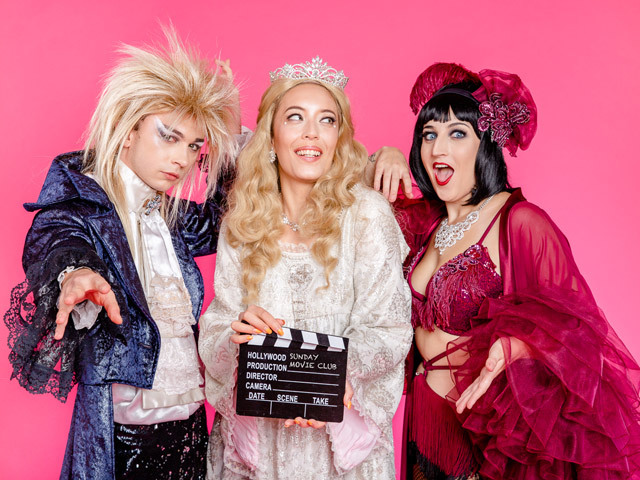 High camp and low brow, there's a new cinema program in town bringing your favourite cult classics to life, with some of Melbourne's favourite burlesque performers, drag queens, madcap MCs and cabaret misfits. Popping up in Werribee in Melbourne's west, Wyndham Cultural Centre's new Sunday Movie Club will bring together the best of screen and stage, transforming the plush surrounds of the Centre's theatre into a playground for some of Melbourne's favourite performers, with tickets just $15! From Little Shop of Horrors, Labyrinth and Princess Bride to the Blues Brothers and the razzle dazzle of Chicago, this wild cinematic romp will include live dance sequences, sing-alongs, costume competitions, props, games, burlesque and hilarious MCs, with 'hostess with the mostest', Ira Luxuria at the helm. If that name sounds familiar, chances are you've enjoyed the wit and wanton talents of the risqué burlesque artist recently named a finalist for Miss Burlesque Victoria 2019. Or perhaps you know Ira as on one of the driving forces behind Melbourne's infamous Pelvic Thrusts, know for their iconic Rocky Horror Picture Show at The Astor Theatre. With the Sunday Movie Club, Ira will take the live cinema experience to new heights, curating an entirely new program to bring your favourite movies to life – from choregraphed sword fights and cardboard box car chases – these are screenings where shouting out your favourite lines and throwing popcorn at the baddies is encouraged! Ira Luxuria explains, "We all have those movies that make us sing, dance and swash-buckle from our seats. Luckily, the Sunday Movie Club includes all of those movies that have that effect on me! Sunday Movie Club will be a movie screening, a party and an adventure to another world all at once. I can't wait to see our audiences dress up and come along for the ride with us." Following an audience of over 350 people for the premiere Sunday Movie Club event, The Rocky Horror Picture Show, Little Shop of Horrors on Sunday 28 April will serve up a green mother of a good time, with drag queens and sing-a-longs with everybody's favourite skid row florist and his out of the world carnivorous companion! A cell block full of Melbourne's hottest burlesque performers including Ira Luxuria and Stella Del Lure are set to shimmy til their garters break when Sunday Movie Club welcomes the razzle dazzle hit musical film Chicago on 9 June and on 14 July you'll be able to declare your murderous intentions along with Indigo with Princess Bride – inconceivable! Time to make a trip out west!